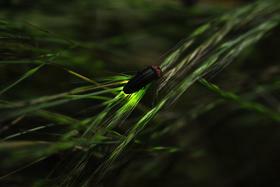 And if you've been noticing more fireflies in your backyard this summer, you're not alone. “A lot of people are enjoying it and I’m thrilled that people are enjoying it," says Sara Lewis, an evolutionary biologist at Tufts University in Boston, and writer of the book Silent Sparks: The Wondrous World of Fireflies. That wet soil also makes it easier for eggs to hatch, larva to metamorphose, and adults to lay eggs for future generations -- which could explain why the population seems to be booming. "Laid across this background of fluctuating population numbers is the fact that fireflies around the world are still threatened by a lot of changes going on in their environment."